Kodak released a new product, the ESP 9250 all-in-one printer with built-in WiFi connectivity and easy WiFi settings for wireless printing. 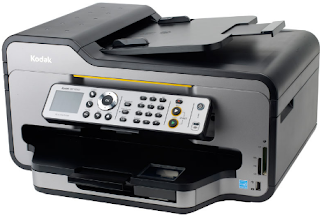 The ESP 9250 features a 30 page auto document feeder and built-in automatic duplexer. The new Kodak printer offers a print resolution of 9600 dpi, 2400 dpi scanning and copying speeds of up to 27 pages per minute. Can also be used to send / receive fax. The ESP 9250 has a 2.5-inch LCD screen and provides a USB port and memory card reader that supports SD / SDHC, CF, MMC, MS, MS PRO, xD cards to directly print it. Users can also print photos directly from iPhone, iPod touch or iPad using Kodak flick Pic app.